George Russell says Williams has resorted to treating the early races of the 2019 F1 season like test sessions. George Russell says Williams has resorted to treating the early races of the 2019 Formula 1 season as test sessions due to how far off the pace the team is. 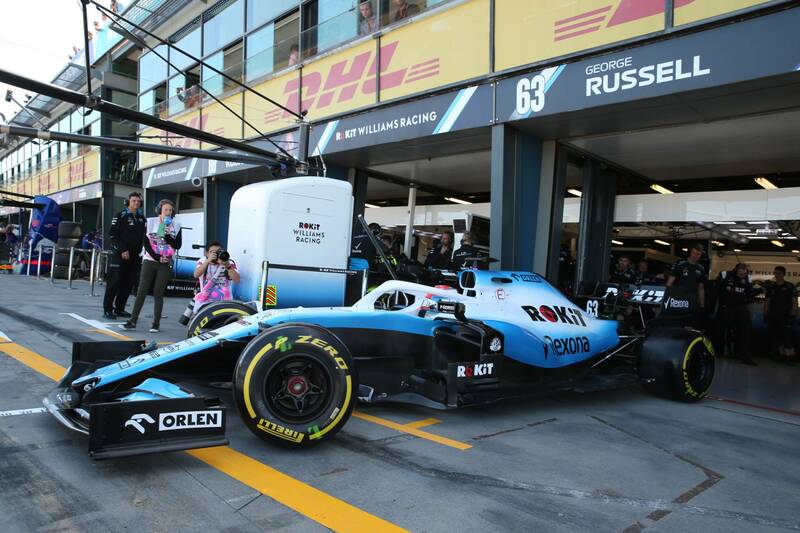 Williams has endured a tough start to 2019 with delays to its uncompetitive FW42 resulting in the team missing the first two days of running during pre-season testing. At the season-opening Australian Grand Prix, Russell led home teammate Robert Kubica but both drivers ended up over two laps down in 16th and 17th place - the last remaining runners. The Briton revealed the British squad’s car has a “fundamental” problem that could take months to fix, leading Williams to using the opening rounds of the season as little more than data-gathering outings and valuable track time. “Personally I can take a bit of satisfaction from this weekend,” Russell said. “I think [Saturday] was a really great day for me. I left the circuit with my head held high. “[In the race] we knew what we were in for. It wasn’t a fair fight with Robert [Kubica] as he had a bit of damage at the start. For both of us, it was just bring the car home and learn as much as we can. The reigning Formula 2 champion was faster than the returning Kubica for much of the weekend, including in qualifying, though he ended up over 1.3s slower than the next fastest driver as Williams was restricted to the back row of the grid. “First time at Albert Park, I didn’t throw the car in the wall or anything,” Russell explained. “I was ahead of my team mate in every session bar one. From a personal perspective I’m happy, but I’m a fighter, I’m a winner, and I’m not interested in just battling my team mate for the back of the grid.